#60: Pastoral Logotherapy: Seeking Wholeness Through Healing Mankind’s Spiritual Malaise - Presentation by Father Jeremiah N. Murasso, Ph.D. Presentation by Father Jeremiah N. Murasso, Ph.D.
Pastoral logotherapy is the application of logotherapy principles within the context of pastoral counseling. This application is primarily championed by the Graduate Center for Pastoral Logotherapy at the Graduate Theological Foundation. Father Jeremiah N. Murasso, Ph.D., is the Robert C. Leslie Professor of Pastoral Logotherapy at the Graduate Theological Foundation. Father Murasso was ordained to the priesthood in the Roman Catholic Church in 1979. He holds multiple graduate degrees in the areas of theology, philosophy, psychology, and education. At the recent World Congress on Viktor Frankl’s Logotherapy held in Dallas, Texas, Father Murasso received the Robert C. Leslie Award for outstanding contributions to the fields and interfaces of psychology and religion. The following presentation was delivered to the World Congress on June 20, 2013 and is entitled “Pastoral Logotherapy: Seeking Wholeness Through Healing Mankind’s Spiritual Malaise.” We join the lecture in progress. Father Murasso is the author of Logotherapy and the Logos of God in Christic Wisdom published in 2008. The Amazon link to the book is found here. On April 18, 2013, I successfully defended my Ph.D. dissertation at the Chicago Theological Seminary. 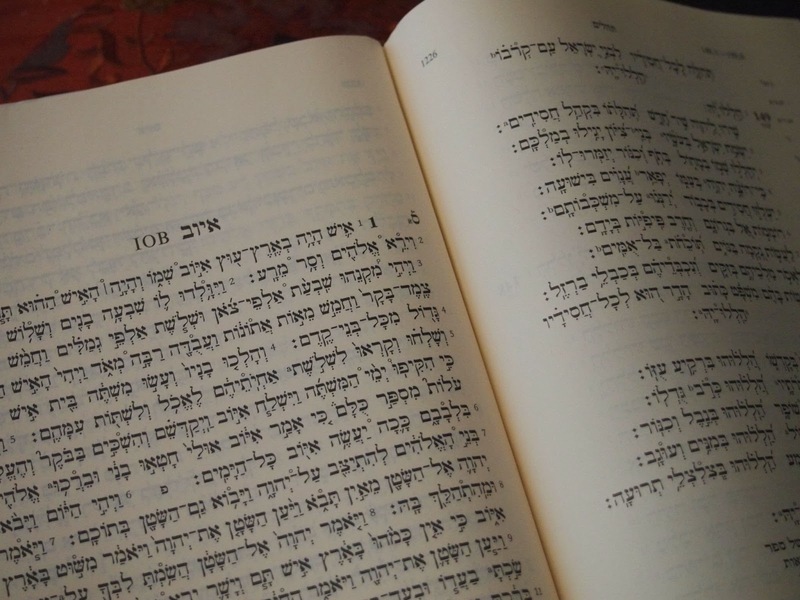 The dissertation title is A Logotherapy Hermeneutic Developed and Applied to the Book of Job. I was struck by the warm reception Frankl’s ideas were given by a group of biblical scholars and theologians who had had little exposure to Frankl outside the reading of the dissertation. I especially want to thank the Chicago Theological Seminary and my dissertation committee for allowing me to write on this topic. A few months ago, on LogoTalk Radio #54, I talked a bit about what I mean by a “Logotherapy Hermeneutic.” In short, logotherapists know that examples of Frankl's principles have been explained and interpreted through numerous books, texts, and even movies. Although this has been a practice for some time, and is encouraged in the logotherapy curriculum, no theory as to how to interpret a story through a Franklian lens has ever been developed at a scholarly level. That is what this dissertation does, and that is what a Logotherapy Hermeneutic is -- a defined theory of textual interpretation based on Logotherapy. As such, it is closely related to what Frankl calls a "Special Existential Analysis." The lecture that follows is my presentation to the Nineteenth World Congress on Viktor Frankl's Logotherapy in Dallas, Texas given on June 21, 2013. The lecture illustrates the application of a Logotherapy Hermeneutic to the Book of Job. The handout given during the lecture can be found by following this link. #56: The Russian Philosophical Heritage and its Impact on Franklian Philosophy – Presentation by Snezhana A. Zamalieva, Ph.D. Presentation by Snezhana A. Zamalieva, Ph.D.
Snezhana A. Zamalieva, Ph.D., is a clinical psychologist, business coach and President of the Maestro Temirkanov International Foundation for Cultural Initiatives (Международный Фонд Культурных Инициатив Маэстро Темирканова). She graduated from St. Petersburg State University with a master's degree in sociology in 1996 and received her MBA in 2003. Later, she graduated from the East European Institute for Psychoanalysis with a master's degree in psychology. In 2012 she earned her Ph.D. from the Philosophy Department of St. Petersburg State University. Dr. Zamalieva also completed the program in Franklian Psychology offered by the Viktor Frankl Institute of Logotherapy, in Texas, by distance learning. Dr. Zamalieva lectured at the Nineteenth World Congress on Viktor Frankl's Logotherapy in Dallas, Texas on June 21, 2013. Here, she presents an overview of Russian philosophy for her international audience and then discusses the influence of Russian philosophy, especially Dostoyevsky and Tolstoy, on the development of Viktor Frankl's thought. Next week at World Congress XIX on Viktor Frankl's Logotherapy: Inspiring Meaning-Centered Living in Diverse Disciplines, Cultures and Wisdom Traditions, I have the privilege of presenting From Turmoil to Transcendence: The Book of Job and the Will to Wisdom based on my recently completed PhD dissertation on logotherapy and hermeneutics. During that presentation, I intend to outline what a logotherapy hermeneutic is, and then engage logotherapy in a dialogue with the Biblical Book of Job. I find the discoveries both about the Book of Job and about logotherapy to be quite startling. Spiral bound, paper-only copies of the dissertation will also be available at the World Congress bookstore for $20.00. There are only 15 copies available, so I’ll accept pre-orders by email to logotalk@gmail.com. In this podcast, I share a bit of background on what a hermeneutic is, and what it has to do with logotherapy. I also talk about types of hermeneutics, as well as postmodernism, and explore how Frankl’s theory fits with those constructs. Most of this material will not be part of the presentation next week, and both this episode and the presentation are free-standing, but listening to this episode before the presentation will give those who attend a fuller understanding of the overall project. Ann V. Graber is Fellow, Professor of Pastoral Logotherapy, and Director of the Graduate Center for Pastoral Logotherapy at the Graduate Theological Foundation. This educational initiative is the first of its kind by a graduate-level institution focused specifically upon the pastoral character of the theory and practice of Viktor Frankl’s logotherapy being offered to ministry professionals. Growing up in Europe, Ann Graber received most of her primary, secondary, and initial post-secondary education in Austria. Later she continued her higher education in the U.S. Upon earning the Diplomate in Logotherapy credential, she joined the international faculty of the Viktor Frankl Institute of Logotherapy and participated in developing a comprehensive curriculum in Franklian Psychology/Logotherapy in the English language. She also initiated and directed the Institute’s Distance Learning Program that has attracted students interested in logotherapy from every continent. A life-time member of the Viktor Frankl Institute, Dr. Graber serves as liaison between the Institute and the Foundation. In 2002, after completing her Ph.D. studies at the Graduate Theological Foundation, Dr. Graber was invited to join the Foundation faculty. 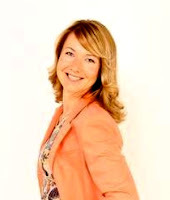 She has taught Foundation Seminars and Institutes on Viktor Frankl’s logotherapy on-site, as well as E-tutorials, telephone tutorials, and residential tutorials. A frequent presenter at regional and international conferences, Dr. Graber has received numerous awards through the years. Her articles have been published in Foundation Theology: Faculty Essays for Ministry Professionals, The International Forum for Logotherapy, A Chrysalis Reader, and other publications. Some of her work has been translated (whole or in part) into foreign languages. 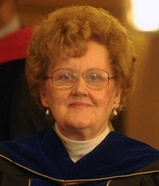 In 2009, the Graduate Theological Foundation awarded the degree of Doctor of Divinity honoris causa to Ann V. Graber in recognition of distinguished service and internationally recognized scholarship in Viktor Frankl’s logotherapy. When the Foundation decided to establish the Graduate Center for Pastoral Logotherapy in 2012, Dr. Graber was honored to be asked to serve as its Director. Dr. Graber and the Graduate Theological Foundation have announced a new course taught by Professor Graber: Near Death Experiences and their Life-Transforming Impact. The primary objective of the course is to help lessen the fear of death and dying. It will be offered as either a telephone- or an electronic-tutorial. The full text of the announcement read in the interview can be found here: Announcing the Graduate Center for Pastoral Logotherapy. On Life after Death by Dr. Elisabeth Kübler-Ross (a book in which she cites Frankl). Proof of Heaven: A Neurosurgeon's Journey into the Afterlife by Dr. Eben Alexander. LogoTalk Radio is honored to welcome Dr. Ann Graber as today’s guest. Logotherapy and Existential Analysis: An Introduction to the Theory and Therapy of Viktor Frankl, an online continuing education course offered by the Zur Institute. 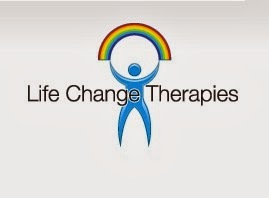 Overview of Logotherapy, an online continuing education course offered by Defiant Power Solutions. Logotherapy and Existential Analysis I offered by A. Batthyany in Istanbul, Turkey beginning February, 2014..
Nineteenth World Congress on Viktor Frankl's Logotherapy: "Inspiring Meaning-Centered Living in Diverse Disciplines, Cultures and Wisdom Traditions," Dallas, Texas, June 19-23, 2013.